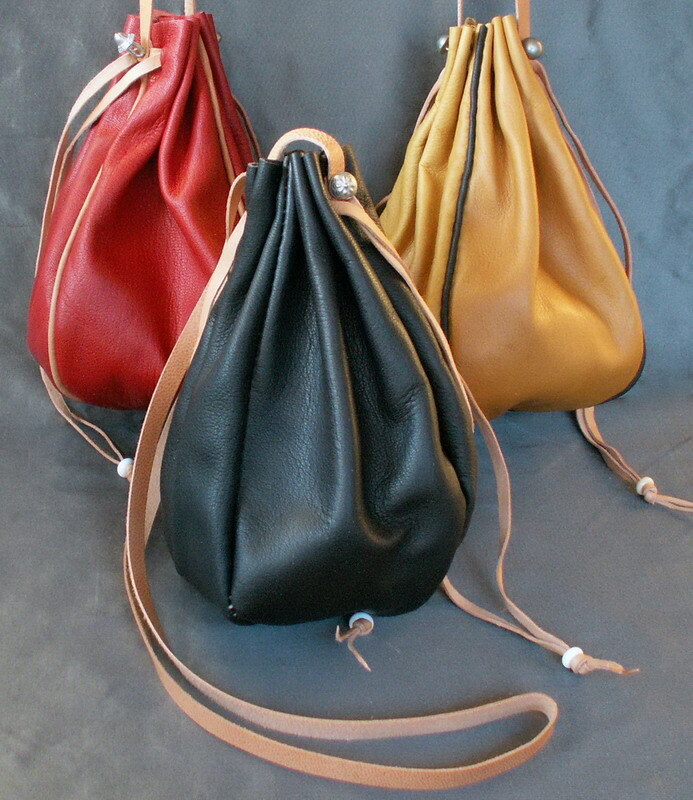 These purses are made from vegetable tanned goat skins that have been dyed using period dyes and they are made entirely by hand. The design for this purse comes from a number of paintings and illustrations and is a common style from the 14th to the 17th centuries. 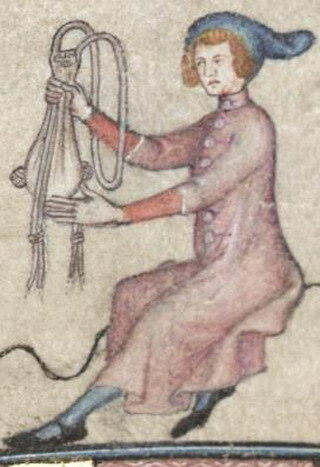 It hangs from a leather cord and the top is held closed by two leather draw strings. The more elaborate version has decorative piped seams. They measure 9 inches wide and 8 inches long (23 x 20 cm) when open.